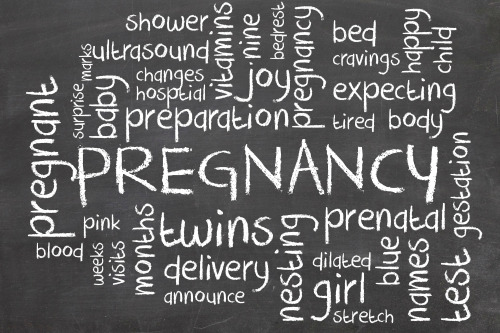 We were very pleased to have the opportunity to ask an expert about twin pregnancy and birth! Carri R. Warshak, M.D. is the Associate Professor of OB/GYN and Director of the Perinatal Center and Fetal Ultrasound at the University of Cincinnati. Her areas of expertise include: High Risk Obstetrics, Medical Genetics, Ultrasound, Advanced Maternal Age, Fetal Anomalies, Concurrent Maternal Medical Conditions, Hypertension in Pregnancy, Diabetes in Pregnancy, and Placental Disease. We have listed Dr. Warshak's helpful answers (below) to some of your most frequently asked twin pregnancy questions and concerns. But remember, these answers are not in place of your own doctor's advice or answers. You may also want to visit our interactive Ask A Mom page where you can get helpful advice and support from other moms pregnant with twins and even those who already have them. Additionally, you can type your question in the chat box (it will pop up shortly) for a quick response from an actual medical doctor. Answered By Expert Carri R. Warshak, M.D. When can I expect to go into labor when carrying twins? 24 weeks: the traditional cut-off for when babies CAN survive. 28 weeks: after this point survival is about 95% (in healthy fetuses). 32 weeks: risk of long-term complication of prematurity is 5-10%. 34 weeks: long-term outcomes are no different than term. This means survival is comparable, chronic lung disease, blindness, cerebral palsy, and other long-term complications of prematurity all comparable. 36 weeks: most often babies can go home with you from the hospital, without having to stay in the neonatal care unit. Does twin pregnancy really increase your HCG levels and if so, what sort of numbers would prompt a doctor to consider a multiple pregnancy as the cause? In general, HCG levels are higher for twin gestation, though definitely not doubled as one might expect. In addition, many singleton pregnancies have high levels for many other reasons. Therefore, there is no set rule about checking for twins based on HCG, but there really doesn't need to be, since these patients are being scanned for whatever their underlying concern is anyway. Is it more common to have vaginal bleeding during a twin pregnancy? Vaginal bleeding is very common in any pregnancy. Simply spotting is usually a benign finding, especially in a pregnancy where ultrasound has documented the presence of fetal cardiac activity. Heavier bleeding can be a more ominous finding that should be investigated. This is true for singleton and twin pregnancies alike. How early can twin pregnancy be detected via ultrasound / sonogram? If an early ultrasound detects two sacs, but only one heartbeat, can the other sac reveal another heartbeat at a later date? 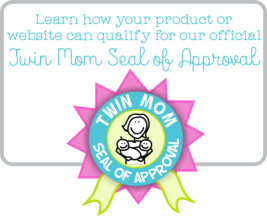 Can one twin "hide" behind the other during an ultrasound and go undetected? Twin pregnancies can be diagnosed as early as 4-6 weeks after a missed period. By 6-8 weeks from the missed period, two heartbeats should be seen. Usually, early ultrasounds are very likely to detect twins. At 6-12 weeks it is pretty difficult to miss a twin. Maternal anatomy can make a twin pregnancy more likely to be missed (such as a severely obese woman or one with an abnormal fibroid uterus). Higher order multiples (triplets and more) can more often be missed. No, another fetus should not develop after a singleton is seen, since they must be the same gestational age. If there are two sacs and one is empty completely and the other has a normal-appearing more advanced fetus, then no, the other will not develop. Why is a twin pregnancy considered "high risk"? There are many complications of pregnancy that are unique to twins, and other complications that are much more common with twins. Conditions unique to twin pregnancies include twin to twin transfusion (TTTS), which is a fairly common and potentially devastating complication of pregnancy. Premature labor, premature rupture of membranes, diabetes, and blood pressure disorders are far more likely in twin gestations than singletons. For this reason it is recommended that women pregnant with twins seek care with a provider well-trained in managing twin gestations, if not a Perinatologist or high-risk pregnancy specialist. Conceptions resulting in twin embryos are much more common than ongoing pregnancies with twins. In as many as 30% of twin pregnancies, the second twin simply fails to develop or demises very early. Often this is seen as the concurrent presence of an "empty sac" where the second twin had implanted and had begun development. If the demise occurs very early, in the first 8-10 weeks of pregnancy, then this does not increase the rate of complications for the ongoing singleton. However, late demises in the second and third trimester can have repercussions on the surviving twin. Is it common for an AFP test to come back abnormal when carrying twins even when there is nothing wrong? Often, the first indication of a twin pregnancy is simply an abnormal AFP, triple screen or quad screen (different variations of the same test), especially when an ultrasound has not been performed to date the pregnancy or look for twins. Again, marker levels vary even in singleton pregnancies, and levels don't simply double. for this reason the AFP is much less accurate with twin gestations (less able to screen for down syndrome). In fact, many practices do not routinely check the AFP in a multiple gestation because of accuracy concerns. For this reason, I always offer women with twin pregnancies who begin care early a Nuchal Translucency Screen which is a much better screening test for chromosome disorders in a multiple pregnancy. What should you request/expect, in terms of tests or other check ups, from your OB that may be different from a singleton pregnancy? If you are pregnant with twins, there are a few major things that should be done differently. 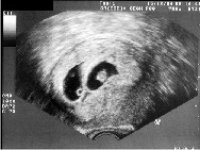 Once twins are established, a specialized ultrasound to establish the "chorionicity" of the pregnancy should be done very early in the pregnancy. This is an evaluation of the membranes and placentas to see if the fetuses are sharing these entities. After that, at about 18 weeks, a specialized ultrasound should be done to evaluate growth and anatomy by someone specialized in higher risk pregnancy. I also advocate following the cervix with ultrasound, especially if it looks concerning on abdominal imaging or if a woman has a history of early delivery in prior pregnancy. In addition, growth should be followed and ultrasounds performed at least every 4 weeks. I also recommend a lower threshold for admission should there be any concern for preterm labor or a short cervix. 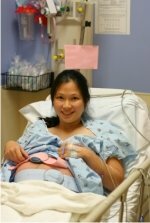 Is it possible to have a natural, unmedicated, vaginal birth with twins? It is possible, but becoming much less likely. The reason is increasing concerns with the safety of vaginal breech delivery. Vaginal birth requires the first fetus to be cephalic or "head-down". If the first baby is anything but this position, vaginal delivery is unlikely and even unsafe. Once this baby is delivered, then many things can happen that could endanger the remaining twin. For instance, now that the baby is out of the way, and the cervix is wide open, the cord can come down instead of the other baby. This is very dangerous for the fetus. Sometimes as the uterus rapidly shrinks with the delivery of one baby the placenta can separate, and this also is very dangerous. Often the fetus just doesn't come down in the right position and cannot delivery vaginally. All-in-all the risk is needed to have a Cesarean section (and usually a more urgent Cesarean section) for the second twin, after a vaginal delivery of the first twin. This rate is typically quoted at being between 5% and 10% of all women with twins who attempt to delivery vaginally. Because of the potential need for quick surgery, regional anesthesia is highly recommended when delivering twins. Otherwise, should something unexpected happen the mother would have to be exposed to general anesthesia, and the delivery process would be dramatically slowed down. Should there be any cause for concern about scar tissue and/or tearing at the site of a previous C-section when you are pregnant with twins due to a larger uterus? Great question! Studies on twin do NOT show increased rates of rupture with a C-section scar, possibly because many deliver earlier in the pregnancy and so many women have a Cesarean section without labor anyway. In any patient, the Cesarean section rate for twins is MUCH higher than for singletons, secondary to increased rates of need for induction and abnormal presentation. Any woman undergoing a VBAC (vaginal birth after c-section) needs to understand the rate of uterine rupture and its profound consequences on mom and baby. I will VBAC twins if they had nonrecurrent reasons for their initial Cesarean section (breech, fetal anomaly), but babies have to both be head down and mom has to go into labor naturally. Many doctors would not VBAC a twin at all (some do not even VBAC a singleton for increased rates of complications). But, there is no ACOG (American College of Obstetricians and Gynecologists) recommendation that it is absolutely contraindicated in a proper patient. Do all mothers pregnant with twins have to go on bed rest at some point? Not at all, though for many I am sure it feels that way. As I stated above, the mean gestational age for delivery of twins is 36 weeks. This means half of moms will delivery after 36 weeks, or nearly at term. If you are not having issues with a short cervix, preterm labor, premature rupture of membranes, bleeding or blood pressure issues, than I highly recommend you DON'T go on bedrest. I have cared for many moms with twins that have lived life fairly normally throughout their pregnancy. What size/weight can you expect twins to be while developing that differs from singletons. What is a safe range of difference in size/weight for developing twins in regard to each other? Twins usually follow normal growth curves (based on singletons) until 28-32 weeks, then they often demonstrate more sluggish growth. We usually consider a weight discrepancy of 20% or less to be normal between babies. This isn't a golden cut-off, some twins with less of a discrepancy can have a serious problem and likewise some babies with more of a discrepancy will be normal. However, it is a general cut-off that makes us our antennae go up to a potential problem.